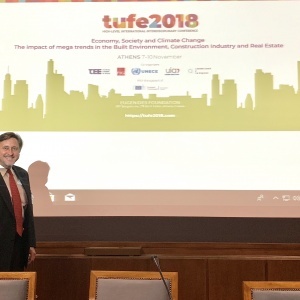 The TUFE 2018 3-day conference — organized with the collaboration of four European and International Organizations — concluded on November 9th. I returned to the U.S. on November 10th after a week in the historical and world-class City of Athens, Greece. 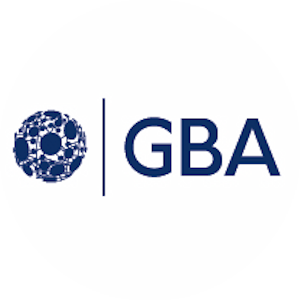 I gave a keynote speech at this prestigious inaugural event while representing the Government Blockchain Association (GBA) and the Foundation for International Blockchain & Real Estate Expertise (FIBREE). My speech was on “The Transformation of Global Land Registry Systems: Protecting Rights and Advancing Economic Development with Blockchain”. The conference marked the beginning of a long-term cooperation between European and international professional and scientific bodies. 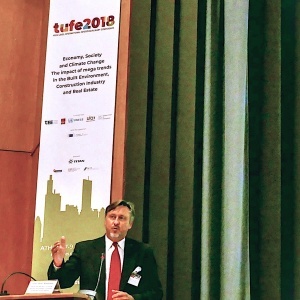 This cooperation will enhance dialogue and the exchange of ideas in line with modern trends in the management of land and real estate, heritage preservation, property valuation and taxation, sustainable and renewable energy sources and standardization of BIM (Building Information Modeling). The 300 participants and attendees at this Euro-centric event were from over 40 countries including Nigeria and Ghana in Africa. 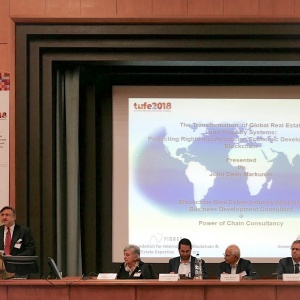 The audience included surveyors, appraisers, architects, engineers, and real estate industry professionals along with officials from the United Nations BureauWorking Party for Land Administration. Establishing a closer cooperation for a world free of poverty, fear and inequality, where life is safe and growth is resilient and sustainable. Of particular significance was the high level of interest in blockchain and how it can be effectively used in global land registries and land governance programs; including its relevance in providing a supporting role in solutions for informal land settlements and promoting economic development. 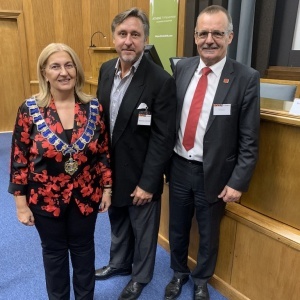 Members of the International Federation of Surveyors (FIG – originally the Fédération Internationale des Géomètres) co-organizer of the event, expressed keen interest in how blockchain would impact and assist their professional fields. 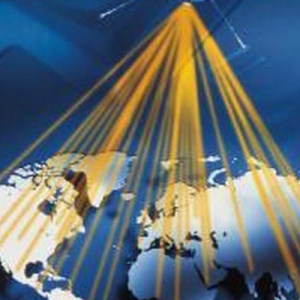 FIG (celebrating its 140th year) represents the interests of surveyors worldwide It was founded in 1878 and is a United Nations and World Bank recognized non-governmental organization of national member associations, cadastral and mapping agencies and ministries, universities and corporates from over 120 countries. This international organization covers the whole range of professional fields within the global surveying community; surveying, cadastral services, valuation, mapping, geodesy, geospatial. FIG also provides an international forum for discussion and development aiming to promote professional practice and standards. 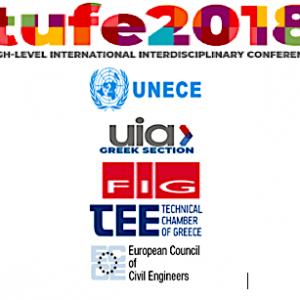 At the close of the high-level international conference, TUFE 2018, FIG President Chryssy Potsiou signed a wide-ranging cooperation agreement with the International Union of Architects (UIA) and the European Council of Civil Engineers (ECCE). The closing session also celebrated the special occasion of a handover event marking the end-of-term for current FIG President Chryssy Potsiou, Greece (2015–2018) to President-Elect Rudolf Staiger, Germany, who will take over the FIG presidency on January 1, 2019.